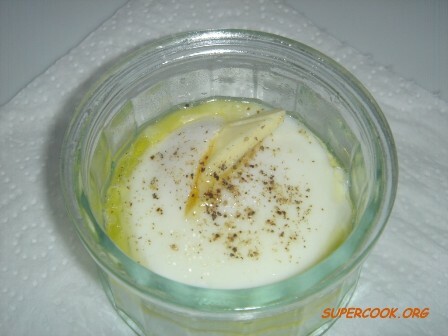 The classic French name for this type of egg dish is oeufs en cocotte, and it is named after the dishes in which the eggs are cooked, which are called ramekins and look like mini soufflé dishes with enough space for baking one egg. The following recipe will give you the basic method for baking eggs in ramekins. 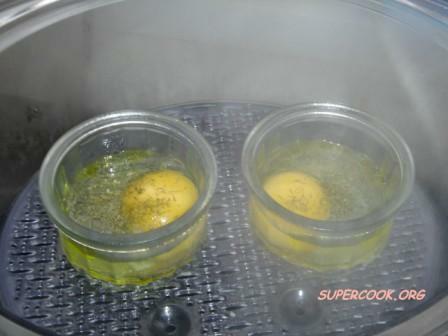 Now let the eggs bake for 10 minutes if you like them soft and runny, or 15 minutes if you like them more set. Served as an appetizer, this dish is easy and quick to prepare.